New York City is much more than a city. The location is a living, breathing work of art. Combining impressive architectural structures with modern engineering feats, you find this statement of beauty even in the skyline. And the natural stones across the city shine their own unique brand of beauty. You may wonder how these stones retain that natural, gritty, urban appeal. NYC stone care ensures that natural stone looks beautiful for residents and tourists alike. At Statewide Stone Care, our natural stone experts understand the intricacies of a wide variety of natural stones, using the right equipment, products, and methods to ensure that NYC stone care is performed with expert levels of attention. We pride ourselves on our many years of trusted service and work hard to install or restore natural stone to shine and last for years to come. The old saying goes, “If you can make it in New York, you can make it anywhere.” That saying is extra true for old natural stones, such as marble and granite. They not only make it in New York, they make their impact for a longer period of time than the city has been around with granite and marble refinishing in NYC. There’s a reason why natural stone is still in use, even through the modern age. 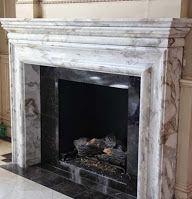 These stones look great and last a century or longer with expert stone restoration in NYC. And once they are installed, you’ll hardly ever have to replace them. This is all because of the care, maintenance, repair, polishing, cleaning, and more done by professional NYC stone care specialists. New York calls to people from all over the globe. In many ways, the city is a microcosm of what exists everywhere in the globe. You find people of all types, cultures, backgrounds, interests, and more. You also find this diversity in the building and design of the city itself. Natural stones contrasted with large buildings make the city stand out among the rest. This appeal is seen right down to the barest of New York’s locales. All across the city, natural stones are being cared for at this very minute with professional NYC stone care. Don’t be left behind. Don’t let your natural stone hide its wondrous beauty beneath dirt, grime, and decay. Just like New York, under the grit, there’s a surface built to last through anything. For more information about our affordable NYC stone care, call Statewide Stone Care today at (888) 574-5595.